RTE staff who work on flagship news programme Six One News are apparently so fed up with the antics of Sharon Ní Bheoláin that they have lodged a complaint with station bosses. It is alleged that the presenter purposely stinks the studio up every evening as they go live to the nation – just for a laugh. As difficult as it is for staff behind the cameras to work in such a poisonous environment, it’s even worse for her co-presenters. In a recent interview via a live satellite link with German Chancellor Angela Merkel, Brian Dobson appeared to be gagging to the point of almost vomiting while trying to conduct a very serious interview. Ní Bheoláin could clearly be seen in the background laughing hysterically. She likes to surprise guests live on air too. 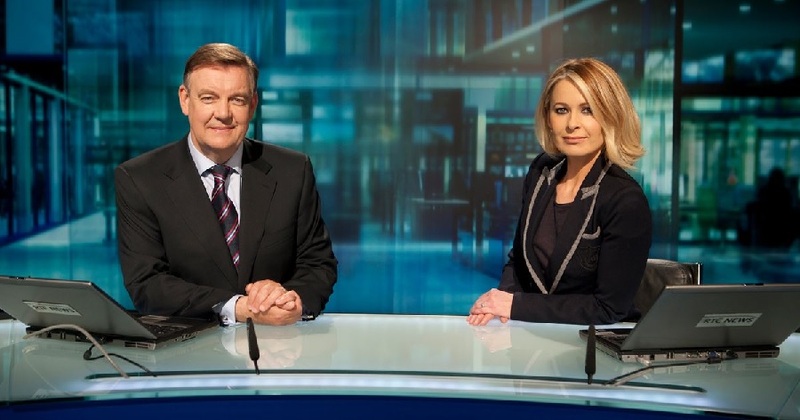 Last Friday evening viewers watched Sharon interview taoiseach Enda Kenny in the studio. During the discussion she launched a floater in his direction and the taoiseach’s face appeared to turn green as he struggled to keep himself composed while the sniggering presenter looked on in delight. It is not known what the outcome of the staff complaints will be but it is highly unlikely any action will be taken against Ní Bheoláin because the head of RTE’s news department Matty Grennan is very fond of telling anyone who’ll listen that he wouldn’t kick her out of the bed for farting. So next time you’re watching the Six One News and you notice the other presenters or guests acting a little strange, it’s more than likely because Sharon has just popped a fluffy and they’re gagging in an invisible cloud of foulness we can only imagine.